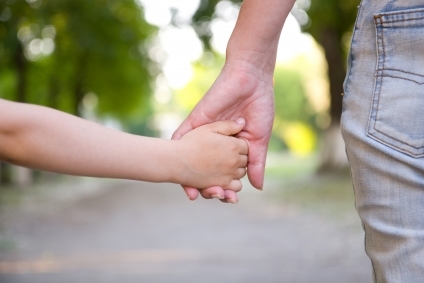 Holding your child’s hand when they are young is constant, crossing the street, walking in a busy store, or just wanting to hold their hand for any good reason. You do it automatically and don’t think much of it. The reason I am sharing this is because Madison held my hand for the first time last week, 4 1/2 years and she initiated wanting to hold my hand. It was Wednesday, after school, it had been a busy day and we were walking around the dairy with my Aunt Kathy. She held my hand for about 15 minutes straight with out us making her told our hand and her constantly pulling or yelling “no-hold-hand”! She doesn’t like giving hugs, kisses, or holding hands due to sensory issues and you take for granted all those times you get to do those things with your kids until you can’t. I have to say, she will give you a hug, when she wants, on her terms and it’s not very often. Every once and a while she will give you a kiss on the cheek, if you ask repeatedly and it usually results in you getting a really hard kiss on the cheek and her squeezing you really tightly around your neck! Haha…all or nothing right?! So for the first time in 4 1/2 years Madison and I held hands and it felt like home. I didn’t want to do anything to mess that moment up besides enjoy and savor what big accomplishment we made.